Join us for an Ecotrip to Colombia in January 2018 and have a taste of the delicious cashews growing there! Take a step onto the road less traveled to enjoy ecotourism and agrotourism in South America for your enjoyment, education and a lesson in Impact Investments. 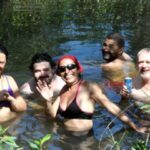 We will visit La Pedregoza Ecolodge in Vichada, Colombia in the Orinoco River Basin.Even most Colombians are unaware of the hidden treasures of nature that travel to the country’s second largest departamento of Vichada can offer. It is almost as if it was designed for the traveler interested in something off the beaten track. Pedregoza Natural Reserve and the Amazonia Reforestation tree plantation. Visitors to La Pedregoza get to stay in a genuine ecolodge, one that relies on solar energy, wind and nature for its amenities. The La Pedregoza Ecolodge has comfortable double occupancy rooms, and is based on the all-inclusive concept of room and board, given its remote location. 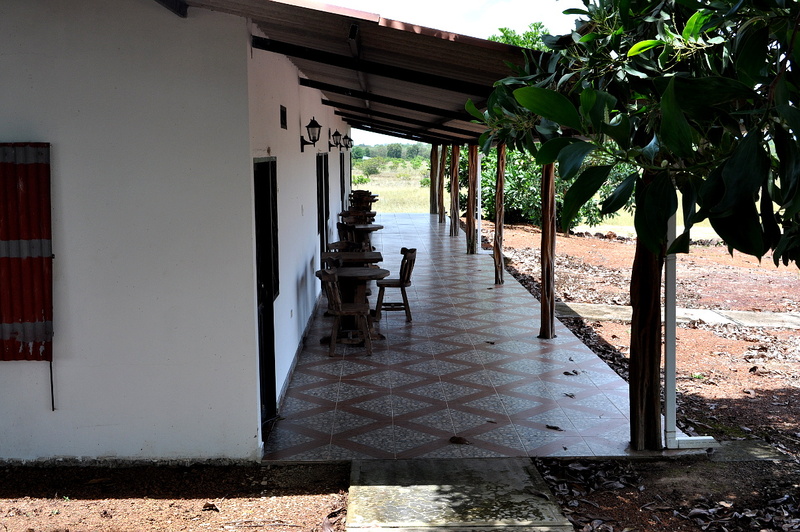 The ecolodge has its own restaurant, Mi Viejo Congrio, named after one of the many fascinating native tree species to be found in the region. The La Pedregoza Natural Reserve was founded in 2010 and has 1,200 hectares (3,000 acres) under conservation. The natural reserve has 4 distinct Orinoco River basin eco-systems, which are inundation forest, gallery forest, morichals or heavily treed creeks, as well as savannah, all of which in turn include serranías or small hills, caños or large creeks and lagunas or dry season lakes and finally wetlands. The number of visitors to the reserve at any one time is limited to preserve the pristine natural conditions, making it ideal for bird watching, wildlife observation or forest bathing, known as Shinrin-yoku in Japanese, which is a spiritual chance to commune with nature. La Pedregoza has it all, with distinct seasonal changes. La Pedregoza also includes a large tropical tree afforestation project, Amazonia Reforestation, involving the planting of over 40 different tree species. More and more the tree plantation side is dedicating itself to the challenges of making some of the poorest soils on the planet productive, using sustainable and organic practices. This includes a growing emphasis on the planting of native tree species and the research required to create formal technical specifications that will allow for their inclusion in reforestation and degraded area restoration programs. The tree plantation is a giant laboratory, in which they are trying to produce organic fertilizers using local resources, biochar as a soil amendment, sustainable practices that enhance and promote local micro fauna, all based on the idea that the soil has a living soul. Visitors can experience and learn about ecoagriculture, analog forestry and the challenges of making them work. This is a Tree-Nation plantation. It is not all learning and study. The Rio Bita offers some of the finest beaches in Colombia during the dry season, from January to April. A little bit of sports fishing is always possible, and includes the frustration of trying to understand why the locals catch something with a string and a hook, while the fancy rods and lures seem less productive. There are several swimming spots where visitors can experience a famous crocodile, anaconda, sting ray and piranha swim. Some lucky visitors on occasion will get to swim with pink dolphins. The savannah hikes offer endless vistas and nothing can compete with a cold beer while watching the atardecer llanero, or sundown in the eastern plains. 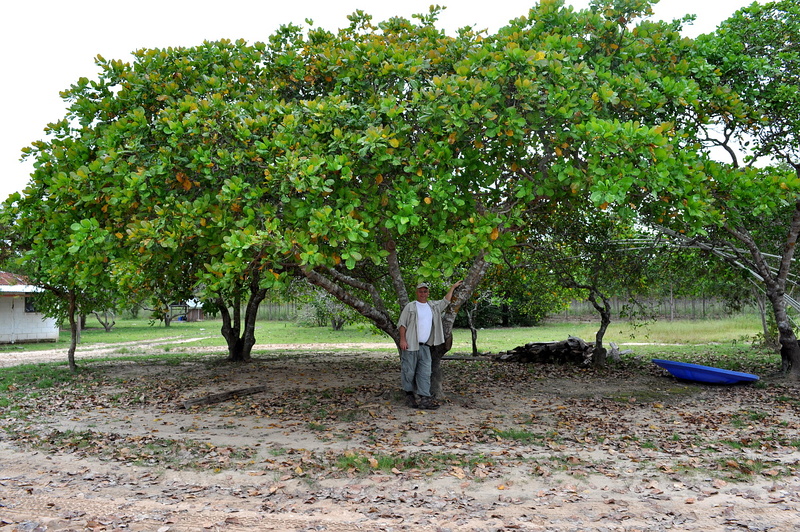 This discovery of a new cashew investment fits right into our Impact Investment criteria. It is based on sustainability with a healthy profit margin for YOU (the investor), the seller and the community! Passive income pro to keep you, the investor, increasing your financial position, increased production for the seller to spread his clean production methods which help the environment and financial support for the communities, for education , healthcare and infrastructure to be able to participate in the public life of the present and future. There is a small group of educated and dedicated people in Colombia cleaning up the environment through restructuring of the rainforest. The rainforest is the source for water and clean air. Unfortunately, the rainforest cannot be rebuilt exactly to its original condition–which was, of course, perfect–however, a lot of work, knowledge and dedication make it possible to build a new rainforest that comes very close to the original. This process includes not just growing a bunch of trees. It also takes the right kind of soil, diversification of native trees and also the help of natural fertilizers which are “homemade” for many reasons. This tremendous service is not only to the people of Colombia, but to the world. We all profit sooner or later from a cleaner environment. This group is also developing plantations for fruits, nuts and vegetables. Cashew–this is the investment I would suggest to look at. As you can see, in at least one of the photos, they are growing so-called dwarf cashews, a newly developed breed which produces a much higher crop of cashews. This increases the profitability of this venture. We have the privilege to offer the cashew crop to our investors for purchase. This highly profitable investment lets you get started with as little as $25,000! We would love for you to join us on this adventure. What a terrific way to start 2018! If you are not able to come along this time, we will be happy to assist you in making arrangements to visit at another time. For more details about the cashew investment, contact us at fpb@AnAmericanInPanama.org. Be the first to comment on "Ecotour Trip to Colombia January 2018"